We are delighted to announce that this year’s Piano Project call for scores is now open. Colchester-based pianist Dylan Christopher is seeking new and exciting works for aspirant pianists of Grade 1-5 standard. 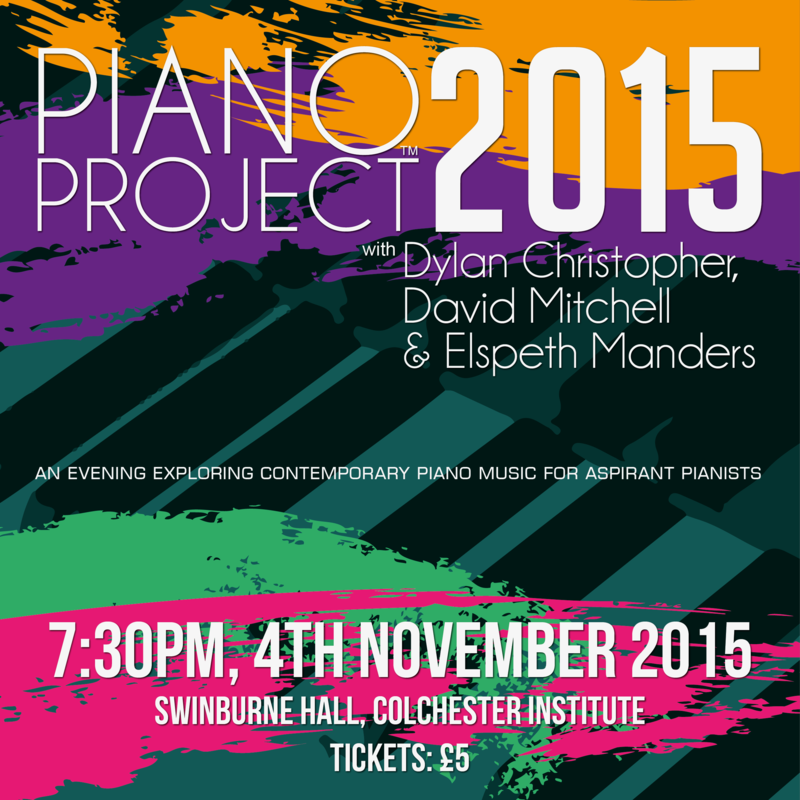 The selected works will be performed by Dylan, his students and professional guests, in a concert at Swinburne Hall, Colchester Institute on 4th November 2015. See full details of the call and how to enter here. This entry was posted in Articles, Call for scores, Current calls and tagged call for scores, Piano Project on June 7, 2015 by AlexanderBlustin.